Here is the first one – Check it out! All those predictions of suped-up rickshaws appear to have been confounded by Mr Tata (does anyone else think he looks like Harrison Ford?) and his team of engineers. The Nano is a natty little beauty of a car and – packed as it is with 34 patented technologies – shows that the age-old complaint that India can’t do original R&D is fast becoming out-dated. I don’t however recommend Westerners rush out and try and import a Nano. It’s a brilliant concept for India, but I suspect, like the super-cheap computers aimed at the developing world, might be rather frustratingly low-spec for the West. The car, which has a 624CC engine, reminded me of a dreadful experience I had in France when driving to see my sister-in-law who lives in Chirac country. My wife and I decided to save a few quid by flying to a fairly distant provincial airport served by Ryanair and then driving the 100 miles or so the Coreze. In the spirit of economy we also hired the cheapest car available, a Renault “Twingo” which, as the name rather suggests, was basically a hair-dryer attached to four wheels. I’m amazed they certified this thing for the autoroute. Even a three-degree incline required third gear and maximum revs just to make it to the top. And being over-taken by thundering lorries required iron-willed tenacity just to stay on the road. We arrived exhausted about three hours behind our friends in the VW Golf. I don’t have the Twingo’s specs to hand, but I imagine compared the Nano – 0-60 in 21 seconds – it’s a Ferrari. Pace all the Twingo-owners out there – though I can’t imagine there are too many of those – but that car really sucked. The big suspense surrounding the Rs 1-lakh car is over now, but like Mr Ratan Tata said at the launch today, the job for Tata Motors is going to be equally tough getting the Nano on the road and to keep his promise of delivering an affordable small car for the masses. Tata Motors has big plans for its ultra-low cost super mini and has drawn up an aggressive roadmap for the introduction of the carâ€™s many versions. The final production prototypes that were displayed today are just some of the variants that are eventually planned for the car. Speaking to Business Line at the Tata Pavilion after the unveiling ceremony, Mr Ratan Tata, Chairman of the Tata Group and Tata Motors, said that the company is exploring the possibility of equipping the Nano with both a diesel engine and a potential hybrid version. 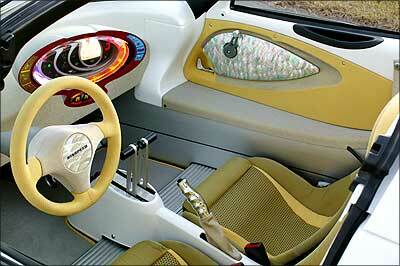 Tata Motors has introduced the Nano with a petrol engine and a manual gearbox now. Mr Tata had mentioned last year that the car will be launched with a CVT (automatic) transmission. Talking about the changes that have taken place in the car, Mr Tata said that the automatic gearbox could not be developed and tested to the satisfaction of Tata engineers and so the car has initially been launched with a manual gearbox. However, he mentioned that the CVT is also being considered and would eventually be introduced. He also mentioned that two other proposals that Tata Motors was planning to incorporate at the initial stages of the project are still being considered such as the use of industrial adhesives to glue together pre-painted panels, instead of the traditional welding of metal body panels and the possibility of satellite assemblers for the car. Talking about the possibility of manufacturing a car like the Nano in other markets, Mr Tata said that the largest element of cost in the car is materials and that India is not necessarily the cheapest place for materials due to the high taxation and tariff structure. â€œEnergy and materials are not cheap, but we have cheap labour and low cost engineering skills that enable the inputs to be offset a bit making us very viable,â€ he said. We can look to manufacture this car in countries where material and energy costs are low and hope to achieve a similar price target, Mr Tata said. He added that the company will look to leveraging its partnership with Fiat Auto for sourcing technology and engineering skills. If you watched Erin Brockovich, then you know what hexavalent chromium is: a nasty heavy metal used for stainless steel production and leather tanning that is carcinogenic if inhaled or ingested. In Sukinda, which contains one of the largest open cast chromite ore mines in the world, 60% of the drinking water contains hexavalent chromium at levels more than double international standards. An Indian health group estimated that 84.75% of deaths in the mining areas â€” where regulations are nonexistent â€”are due to chromite-related diseases. There has been virtually no attempt to clean up the contamination. If India’s environment is on the whole healthier than its giant neighbor China’s, that’s because India is developing much more slowly. 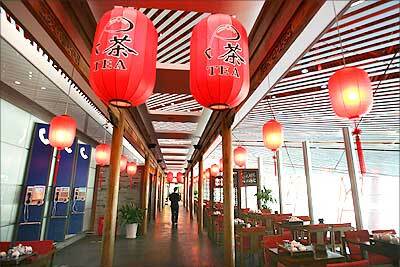 But that’s changing, starting in towns like Vapi, which sits at the southern end of a 400-km-long belt of industrial estates. For the citizens of Vapi, the cost of growth has been severe: levels of mercury in the city’s groundwater are reportedly 96 times higher than WHO safety levels, and heavy metals are present in the air and the local produce. “It’s just a disaster,” says Fuller. Lead is the contaminant that shows up most frequently on Blacksmith’s list because the toll it takes on children can be so devastating. In La Oroya, a mining town in the Peruvian Andes, 99% of children have blood levels that exceed acceptable limits, thanks to an American-owned smelter that has been polluting the city since 1922. The average lead level, according to a 1999 survey, was triple the WHO limit. Even after active emissions from the smelter are reduced, the expended lead will remain in La Oroya’s soil for centuries â€” and there’s currently no plan to clean it up. The legacy of Cold War weapons programs has left environmental blackspots throughout the former Soviet Union, but Dzerzhinsk is by far the worst. The city’s own environmental agency estimates that almost 300,000 tons of chemical waste â€” including some of the most dangerous neurotoxins known to man â€” were improperly dumped in Dzerzhinsk between 1930 and 1998. Parts of the city’s water are infected with dioxins and phenol at levels that are reportedly 17 million times the safe limit. The Guinness Book of World Records named Dzerzhinsk the most chemically polluted city on Earth, and in 2003 its death rate exceeded its birth rate by 260%. When Chernobyl melted down on Apr. 26, 1986, the ruined plant released 100 times more radiation into the air than the fallout from the nuclear bombs at Hiroshima and Nagasaki. Today the 19-mi (30-km) exclusion zone around the plant remains uninhabitable, and between 1992 and 2002 more than 4,000 cases of thyroid cancer cases were diagnosed among Russian, Ukrainian and Belarusian children living in the fallout zone. “It’s the largest industrial accident in the world,” says Fuller. “It’ll be contaminated for tens of thousands of years.” Fortunately, work is being done to prevent further radiation spill from the ruined sarcophagus of the nuclear plant. Another legacy of the Soviet Union’s utter disregard for the environment â€” Stalin once boasted that he could correct nature’s mistakes â€”Sumgayit’s many factories, while they were operational, released as much as 120,000 tons of harmful emissions, including mercury, into the air every year. Most of the factories have been shut down, but the pollutants remain â€” and no one is stepping up to take responsibility for them. “It’s a huge, abandoned industrial wasteland,” says Fuller. When rich deposits of lead were discovered near Kabwe in 1902, Zambia was a British colony called Northern Rhodesia, and little concern was given for the impact that the toxic metal might have on native Zambians. Sadly, there’s been almost no improvement in the decades since, and though the mines and smelter are no longer operating, lead levels in Kabwe are astronomical. On average, lead concentrations in children are five to 10 times the permissible U.S. Environmental Protection Agency levels, and can even be high enough to kill. “We did blood tests on some of these kids, and they literally broke our machines,” says Fuller. “There is a long, nasty history here.” But there’s also a bit of hope: the World Bank has recently allocated $40 million for a clean-up project. 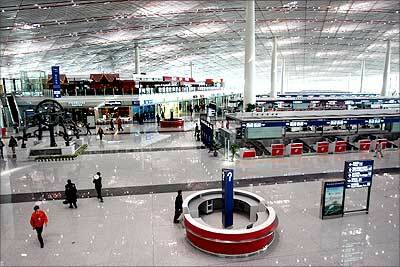 This is the Beijing Capital International Airport. 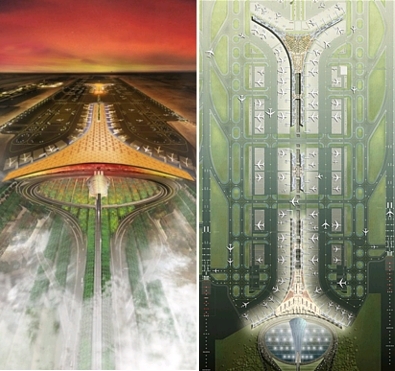 It is the world’s largest airport building and the centerpiece of China’s multi-billion-dollar infrastructure boom and provides a glimpse into China’s vision of 21st-century air travel.The futuristic airport has been built in preparation for the millions who are likely to visit China for the Olympic Games and to meet the country’s booming air traffic. The roof of the swanky new terminal looks like a dragon from the air with its wing spread running 3.25 km. 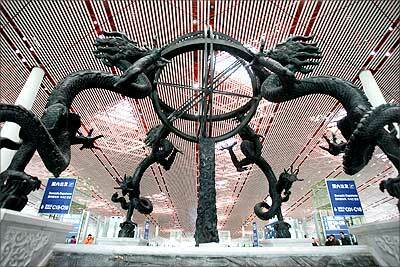 The giant dragon-shaped terminal is 100 hectares in size: that is as big as 170 soccer fields. This makes the airport larger than the Pentagon and almost 20 per cent bigger than all five terminals of London’s Heathrow put together. The terminal has walls of glass. The skylights of the terminal building are designed to look like scales on a dragon’s back and to let natural light into the building. 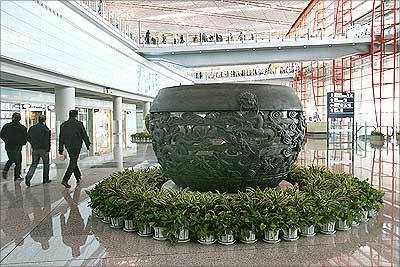 The dragon is considered a sign of strength and luck in China. Almost 50,000 workers toiled round the clock in 8-hour shifts and built the colossal $3.75-billion terminal in only four years. 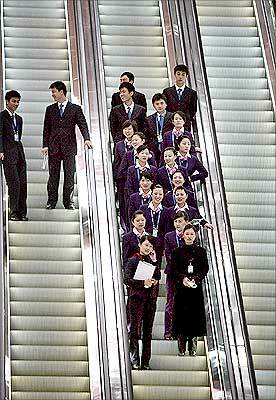 China wanted the airport to be ready before August 8, when the Beijing Olympic Games begin. However, the construction of the airport involved the demolition of thousands of houses that rendered more than 10,000 Chinese peasants homeless. China’s autocratic Communist regime could thus manage to do something that democratic governments — like India’s — can hardly ever match. The airport was designed by British architect Norman Foster, who has also designed Hong Kong’s famous Chep Lap Kok airport. 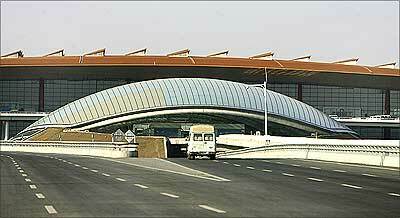 British firm Arup, which has provided engineering and architectural design services for the Hyderabad International Airport, built the airport. 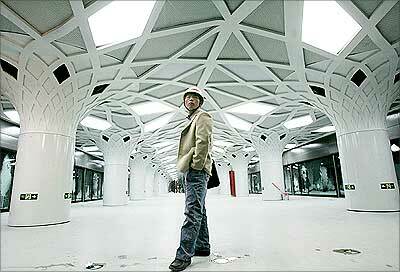 The new terminal will have a capacity of 75 million passengers a year. It features an extremely high-tech passenger baggage system — on 50 km of conveyor belts — that can handle 19,800 bags per hour. 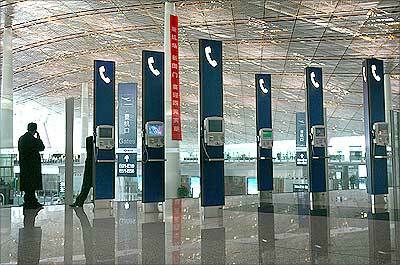 The size of the new Beijing airport can be gauged from the fact that it boasts of 64 restaurants, 80 retail stores, 175 escalators, 173 lifts, 437 travelators or moving footpaths, and 300 check-in counters. 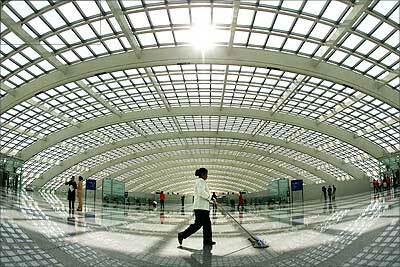 The terminal has a 3-km long concourse, divided into three sections and connected by a shuttle train. 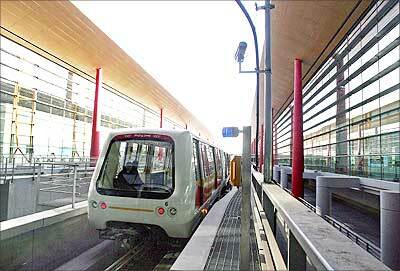 The airport’s shuttle train service can ferry passengers around the mammoth airport. Apart from the shuttle, a high-speed commuter train (subway as also elevated) service will carry passengers between the airport and Beijing in 15 minutes. Two Airport Lines, scheduled to open before July, on elevated lines connect the airport with the transport hub of Dongzhimen. The Olympic branch line has four stations, each with a theme. 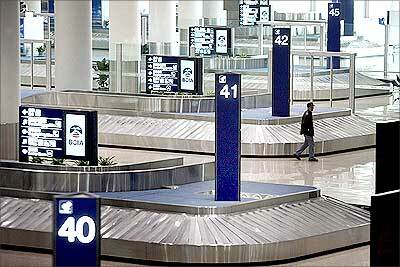 The airport’s runway is capable of handling the world’s largest passenger aircraft, the Airbus A380. The airport building has integrated environmental control systems to minimise energy consumption and carbon emissions, report say. The airlines that will use airport initially include Air China, Sichuan Airlines, Shandong Airlines, Hong Kong’s Dragonair, Singapore Airlines, British Airways, Lufthansa, Air Canada, Qatar Airways, Qantas Airways, El Al Israel Airlines, Emirates and other Star Alliance members. 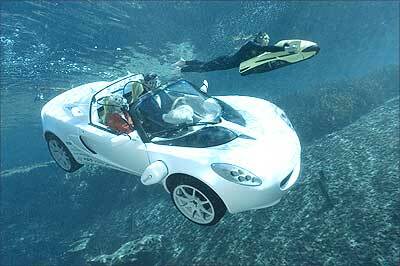 sQuba, world’s first swimming car! 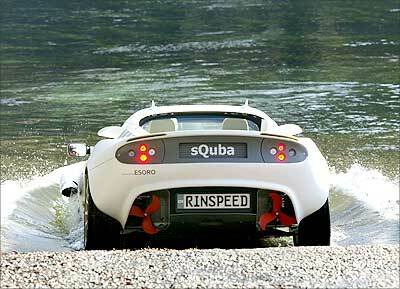 Rinspeed sQuba is the most exciting thing at this year’s Geneva Motor Show and is creating many a ripple. 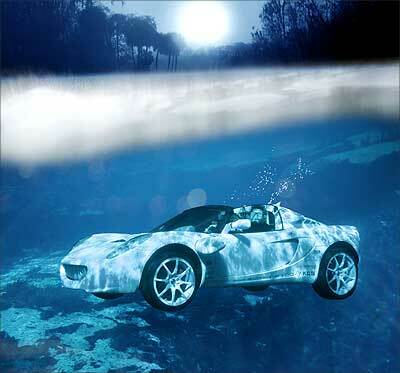 sQuba is the world’s first real submersible car that can ‘move like a fish underwater’. The sQuba has an open cockpit for ‘safety reasons’ (so that people can get out easily anytime in case of an emergency). The occupants of the car have to breathe compressed air through built-in scuba masks. The ‘sQuba’s’ filling station is the water reservoir.? It is no surprise that the vehicle features powerful yet energy-saving LED lighting technology. 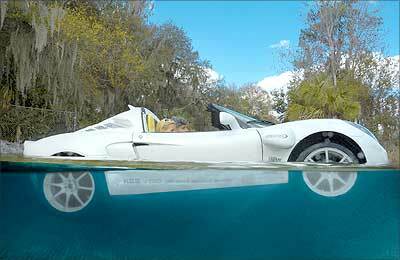 The first car that could drive underwater was Quandt’s Amphibicar, built in 1968. Only 3,878 were produced but many are still being driven on roads. Last year, Prime Minister Manmohan Singh ruffled quite a few feathers when he commented on soaring executive salaries and said the rich must give back to the society and not show off wealth.Some in corporate India took umbrage to those remarks and justified their salaries. The jury is still out on whether huge CEO compensation leads to better company performance. However, in private sector companies in India, CEO compensation is impressively high. By contrast, public sector bosses get a pittance: in some cases, not even one per cent of what the top private sector CEOs get. So who are India’s highest paid CEOs? Here’s a list. . .
No prizes for guessing who the highest earning CEO in India is. When it comes to earning money, Mukesh Ambani is way ahead of not only his younger brother Anil, but the top brasses of entire India Inc.
With a package of Rs 24.51 crore (Rs 245.10 million), Mukesh takes home over ten times the annual remuneration of his brother Anil — with whom he parted ways over two years ago. In the last fiscal ended March 2007, Mukesh Ambani took home a total Rs 24.51 crore as chairman and managing director of RIL — which is the highest among more than 10,000 top executives and directors at about 1,200 companies that have disclosed so far their annual remuneration figures for the year. When the brothers were together, they got a package of Rs 21.9 crore (Rs 219 million) each at Reliance Industries in the financial year 2004-05, according to information available in the company’s annual report. Sun TV chairman and managing director Kalanidhi Maran and joint managing director Kavery Kalanidhi, whose annual remuneration stood at Rs 23.26 crore (Rs 232.6 million) each in 2006-07. Bharti Airtel’s chairman and managing director Sunil Bharti Mittal ranks fourth with an annual pay packet of close to Rs 15 crore (Rs 150 million). Dr Reddy’s Laboratories executive chairman K Anji Reddy is the fifth highest paid executive in India with an annual compensation package of Rs 14.4 crore (Rs 144 million). Hero Honda’s chairman Brijmohan Lal Munjal and the company’s managing director and chief executive Pawan Munjal are ranked sixth and seventh with annual salaries of Rs 13.99 crore (Rs 139.9 million) and Rs 13.88 crore (Rs 138.8 million) each. Jindal Steel’s executive vice chairman and managing director Naveen Jindal is in the eighth spot with an annual salary of Rs 13.5 crore (Rs 135 million), followed by Hero Honda’s joint managing director Toshiaki Nakagawa (Rs 13.44 crore or Rs 134.4 million), and JSW Steel vice chairman Sajjan Jindal (Rs 13.24 crore or Rs 132.4 million) to complete the list of the top ten highest paid Indian CEOs. Anil Ambani does not even figure in the top-100 list with a total remuneration of about Rs 2.42 crore (Rs 24.2 million) from three of his group companies — Reliance Energy, Reliance Communications and Reliance Natural Resources Ltd.
Anil’s package as REL chairman was Rs 2.34 crore (Rs 23.4 million), while as RComm and RNRL chairman he got Rs 4.8 lakh (Rs 480,000) and Rs 3.2 lakh (Rs 320,000), respectively. The remuneration of as many as 15 executives stood at more than Rs 10 crore (Rs 100 million). These included Cadila Health chairman and managing director Pankaj R Patel (Rs 12.43 crore or Rs 124.3 million); Dr Reddy’s managing director and chief operating officer Satish Reddy (Rs 10.87 crore or Rs 108.7 million); Dr Reddy’s chief executive officer G V Prasad (Rs 10.87 crore) ; Mercator Lines chairman and managing director Harish Kumar Mittal (Rs 10.07 crore or Rs 100.7 million); and Mercator Lines joint managing director Atul J Agarwal (Rs 10.07 crore).